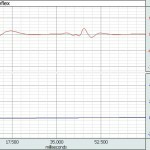 AcqKnowledge® displays, records and analyzes EMG data from human and animal subjects from large and small muscle groups, including facial EMG for analyzing facial expressions and startle paradigms. 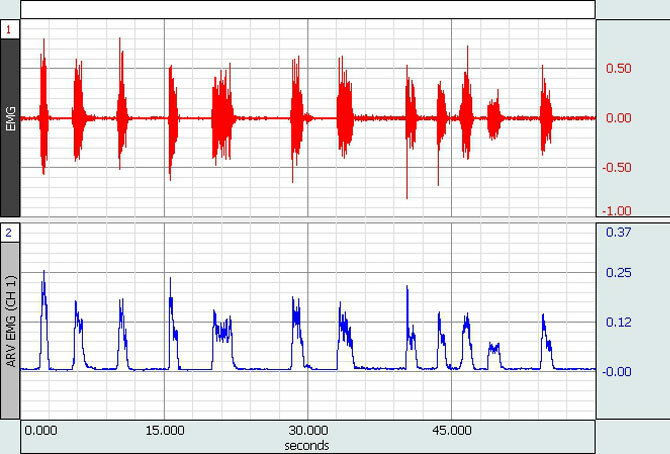 The EMG signal can be recorded using surface EMG (sEMG), needle EMG, fine wire EMG, active electrodes, telemetry, and data logging techniques. Filtering options include both real-time and post acquisition filtering for optimal conditioning of the data. 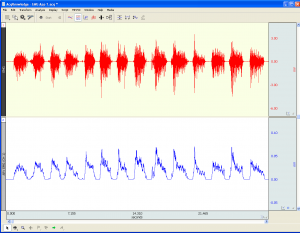 Automated analysis tools identify the root mean square, average rectified and integrated EMG signal to provide an estimation of force levels. 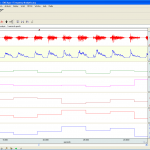 AcqKnowledge displays, records and analyzes EMG data from human and animal subjects from large and small muscle groups, including facial EMG for analyzing facial expressions and startle paradigms. All of the system options (MP150 and Mobita) include powerful AcqKnowledge® software. 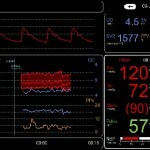 AcqKnowledge® displays EMG data in a variety of formats for quick and easy viewing. On-line calculation channels allow you to configure channels and view integrated, RMS, or filtered EMG signals in real time. 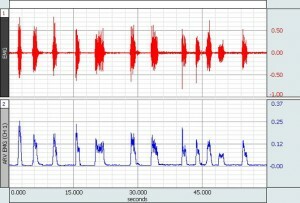 Use the scaling tools to normalize the EMG data to display the % maximum voluntary contraction (MVC). 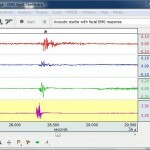 In addition, AcqKnowledge® includes a variety of automated EMG analysis routines. A range of fully automated routines provide quick, easy, and reproducible results. For more information, choose an Advanced Feature and click through for application details and hardware suggestions.